Securitization is a risk management tool used to reduce idiosyncratic riskIdiosyncratic RiskIdiosyncratic risk, also sometimes referred to as unsystematic risk, is the inherent risk involved in investing in a specific asset – such as a stock – the associated with the default of individual assets. 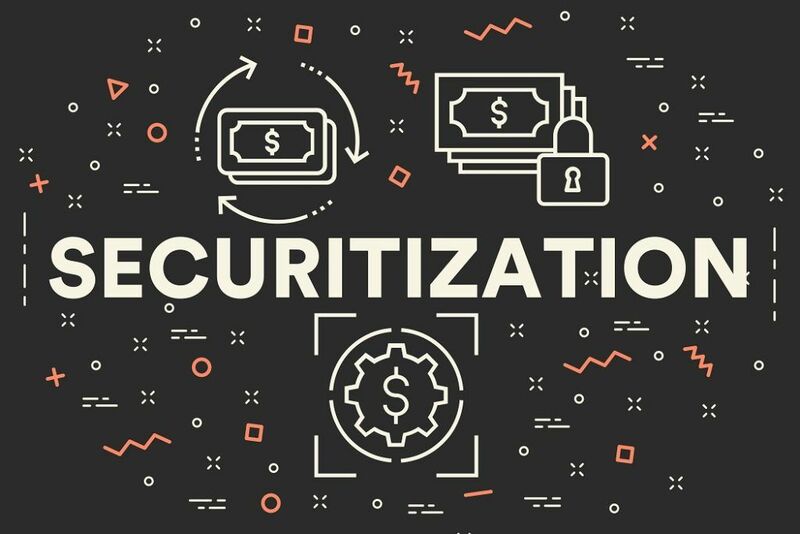 Banks and other financial institutions use securitization to lower their exposure to risk and reduce the size of their overall balance sheet. The bank (or financial institution) sells the “compound asset” to global capital market investors. Securitization works on the assumption that the probability of several assets defaulting is lower than the probability of a single asset defaulting. It assumes that the default probability of different assets is independently distributed. The logic underlying the practice of securitization can be best described using an example. Three investors invested $1,000 in three separate assets: Asset A, Asset B, and Asset C. They sell the assets to a bank. The expected returnExpected ReturnThe expected return on an investment is the expected value of the probability distribution of possible returns it can provide to investors. The return on the investment is an unknown variable that has different values associated with different probabilities. This guide provides the formula and examples for calculating from the investment is (40%*1000*0.8) + (48%*1000*0.7) + (64%*1000*0.65) = 320+336+416 = $1072 = 35.73% return. However, the variance associated with the above investments is very high. Therefore, the bank wants to remove the assets from its balance sheetBalance SheetThe balance sheet is one of the three fundamental financial statements. These statements are key to both financial modeling and accounting. The balance sheet displays the company’s total assets, and how these assets are financed, through either debt or equity. Assets = Liabilities + Equity. The bank creates a Compound Asset X by combining Simple Assets A, B, and C. Consider an investor who purchases $100 worth of X. The investor will receive a 50.66% rate of return. However, the investor faces considerable less risk than an individual investor who only owns one of the assets A, B, or C.
Banks in the US first started securitizing home mortgages in the 1970s. The initial “mortgage-backed securities” were seen as relatively safe and allowed banks to give out more mortgage loans to prospective homeowners. The practice created a housing boom in the US and resulted in a tremendous increase in house prices across the country. In the 1980s, Wall Street investment banks extended the idea of the mortgage-backed securities to other types of assets. They realized that securitization drastically increased the number of securities available in the market without the need to raise any real economic variable. The increase in the number of securities available raised the number of potential transactions the banks could make (most banks were paid according to the number of transactions they were involved in). The rapid deterioration in the quality of the underlying assets within the market for asset-backed securities and a general lack of government regulation was one of the key reasons for the 2008 recession.